Adam Lambert has been close friends with The Voice winner Alisan Porter for a long time. They appeared together in The Zodiac Shows, in the movie The Ten Commandments and even wrote For Your Entertainment’s Aftermath together. On this Access Hollywood interview around the 3:00 mark, she talks about their friendship and how much Adam helped with The Voice. Here’s a press conference with Alisan and Coach Christina Aguilera, where Adam fan Lyndsey Parker from Yahoo, asks her about advice from Adam, at 8:10. 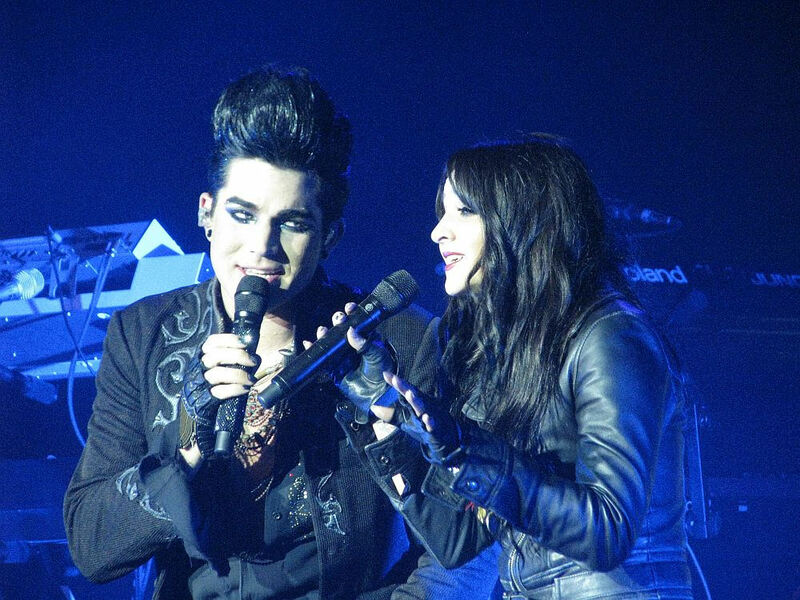 I only know of one performance where Alisan and Adam sang Aftermath together, at The Music Box, December 15, 2010. It looks like Adam’s not the only one who’s lightened their look! She was my favorite and I am happy that she won but now that I know she is good friends with Adam I am even happier for her win. He seem like he is a friend forever once he is your friend. He is just beautiful inside and out. This is so great….thanks for showing us this again. I actually watched the Voice and voted for her. No wonder I liked Alison and voted for her. She has an awesome voice and and awesome friend! I love Adam! He has such great friends. It’s a sign of a really great person.